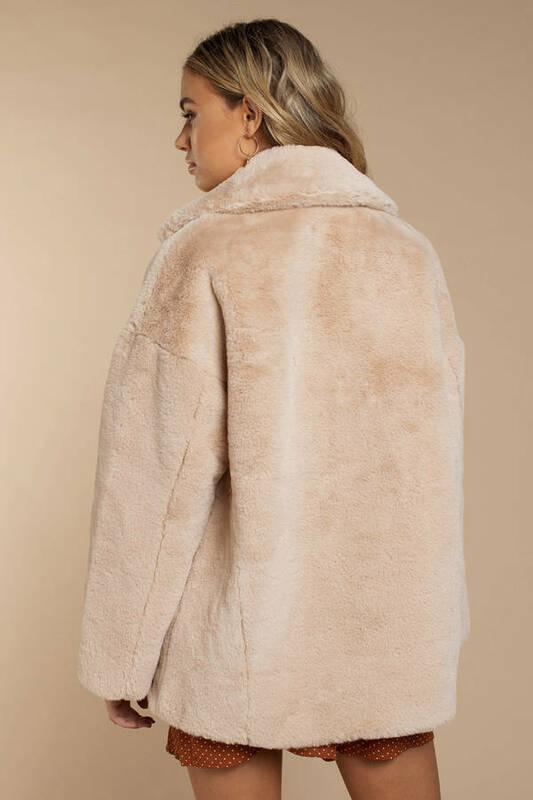 Check out Tobi's Solid Kate Faux Fur Coat Get all the glam you'll ever need from Free People's Solid Kate Beige Faux Fur Coat. 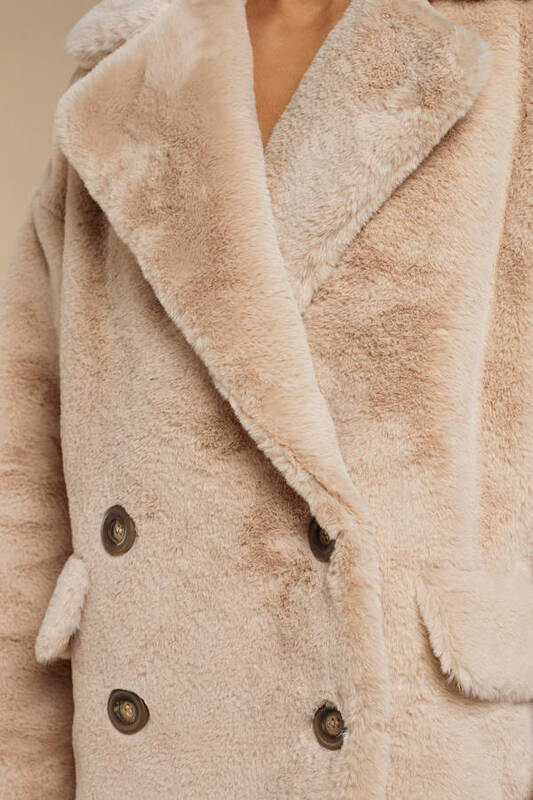 This oversized faux fur coat features a double breasted construction, oversized lapel, and flap pockets. Take this comfortable vegan coat out in cold weather and pair it with a velvet midi dress and booties. Get all the glam you'll ever need from Free People's Solid Kate Beige Faux Fur Coat. This oversized faux fur coat features a double breasted construction, oversized lapel, and flap pockets. Take this comfortable vegan coat out in cold weather and pair it with a velvet midi dress and booties.